I was visiting a relative in Chang Ping during the last few days of Chinese New Year. 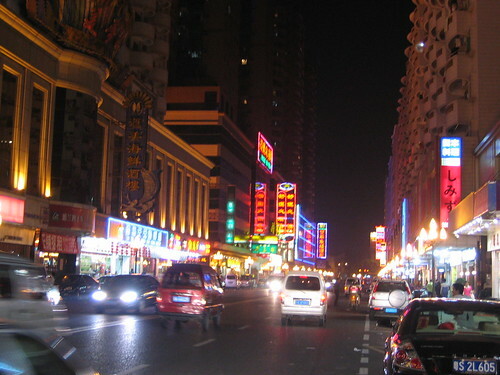 Chang Ping is one of the bustling counties in the city of Donguan city in Guangdong Province, China. It is located about an hour drive from Shenzhen. The county was formerly an agricultural village but had seen rapid development over the last twenty years with the rise of the manufacturing sector. Chang Ping is one of the counties that had supported Donguan city fame as the “factory of the world” with its cheap labour and abundant manufacturing capacity. I spent a few days and like what i see here. I took a lot of photo of the trip and would like to share with my readers here. Here is one of the many posts i will put up on Chang Ping. this is one of the main streets in CP. both sides of the streets are lined by high rise condo but shopping are not interesting here. outlets are dominated by HK brand (baleno, U2 etc) and some China brands that i never heard off. however, if you like all things chinese like tea sets, silks, wood carvings, chinese painting, this street has it all. 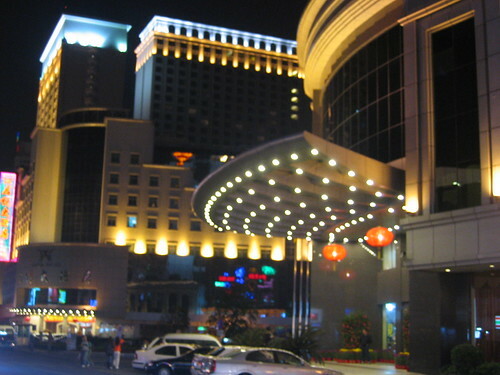 hua mei hotel lobby – CP boosts some good 3-4 star hotels which cater to the business community. tourism is not a strong pulling point of the city but i can assure you the service industry is first class – specifically its food & beverage, spa and massage outlets. 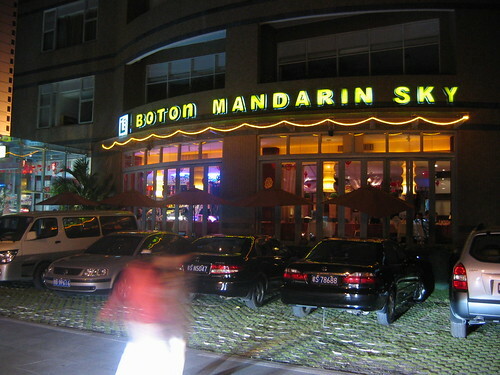 Boton Mandarin Sky Cafe… quite a mouthful but i will remember it well, for the simple reason it serves one of the best hot-stone steak i had ever tasted. the service was excellence and the staff extremely friendly. my relative was addressed by his surname throughout the night by serving staff. Even the non-serving one would dropped by to utter a friendly “Hello”. BMSC – i will be back! BMSC is famous for its fancy dessert too. No picture though as we didn’t order any. I like a the setting and the ambience. Too bad my wife was not around to savour it with me. She was away having her hair washed and shoulder massaged in another part of town. those night scenes are really nice. sharp photos despite the low lighting. hmmm… those look like umbrellas hanging from the ceiling, heheh! Looks good. I know when I go to Asia I will have to go to HK and meet a 1,000 family members that I have never seen. 4f: hahaha… i am sure you kids will love it during chinese new year. with 1000 family members there is a lot of red packet to be collected. cant say the same for you & your wife though, my fren!! And then it will be off to China and suspect this place will be part of the iteniary. Looks really clean. 4f: it is about one hour from the border at shenzhen. you will pass by it going to guangzhou!! 4f: you must get burung pipit as your guide next time when in lil dot so you wont feel lost again!! It’s a bit of an irony right? Chang Ping has excellent customer service and yet does not have many tourists. 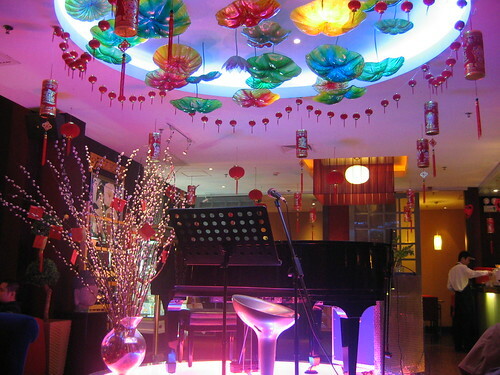 Your experience has proven wrong the stereotype that mainland Chinese offers poor customer service. 4f: the level of service here is even better than big city like shanghai which i had tried before. maybe it is a small county and the people are more friendly. There is a certain modernistic rustic charm about china eh? 4f: sharp observation mama! i guess the value in the ang pau he handed out that nite was equivalent to the cost of our meal! i’ve began to change my opionion on china…they provide good customer service…cheap and yummy food (less the surrounding), great massage too… i hope i was still there! I like the last pic. Very tastefully done. Very artistic.. I was just in Changping. It is a great little city, with gorgeous girls, great food. Hi. I was there just for fun, my father lives in Taiwan so I visited him, and with a few friends of his we went to Changping. You will be there in July? It would be fun to meet or something. Email me at jdhujdhu@gmail.com, my name is Jimmy. And yes, you need to come check out the exciting aspects of CP. Really quite amazing, and I have to admit that a beautiful girl there has stolen my heart. The Penninsula Hotel is a nice 4 star hotel with good rates as well. Hi thank you for a wonderful insight, i’ve tried to find the hua mei hotel on the net but cant can you help? 4f: hua mei is not usually full. CP is not a happening place that hotel room need to pre-booked!! Just returned from SZ and made a stop to CP (for DVD buying – not US movies, but Chinese history DVDs). The stories about terrible service in China are outdated when referring to the big cities, esp. the SZ/DG area. You might find an occasional person with an attitude, but it’s pretty rare. For the most part we enjoyed fantastic, attentive service from well-trained employees. I didn’t try the stone-cooked steak (dammit!) but did have some excellent spicy fish head hotpot. Yum! 4f: soij-another fan of chinese service and CP! Chinese trips can be eyes opening for all the right reason… welcome to pipit blog!